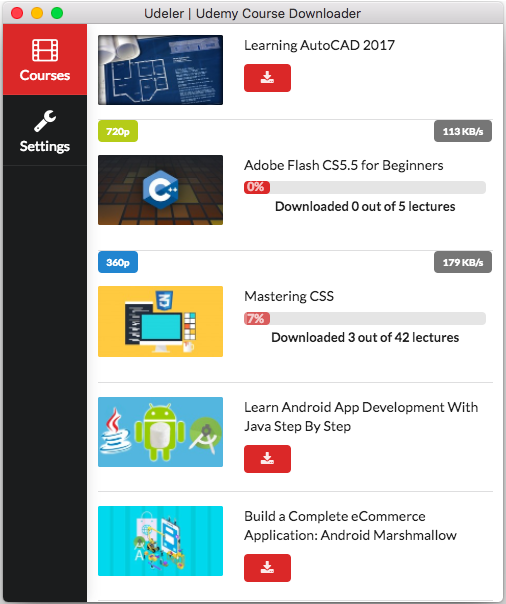 A cross platform (Windows, Mac, Linux) desktop application for downloading Udemy Courses. Since Udeler v1.6.0, there is support for login through Udeler Authenticator (A chrome extension for easily authenticating a Udemy account with Udeler). How to use Udeler Authenticator? After installing/enabling the extension, open udeler desktop app, you will see a new anonymous icon on the login page. Click the icon and it will start to listen for any login requests from your chrome web browser. Open Udemy website on your chrome web browser and simply login to your account. Udeler app will detect the login and will let you in. If you are already logged in to Udemy, you can simply visit the website and it will still detect your account. In case you only want the download links of videos. You can use the Web version of Udeler. Udeler Web is in Beta and there is room for tons of features. 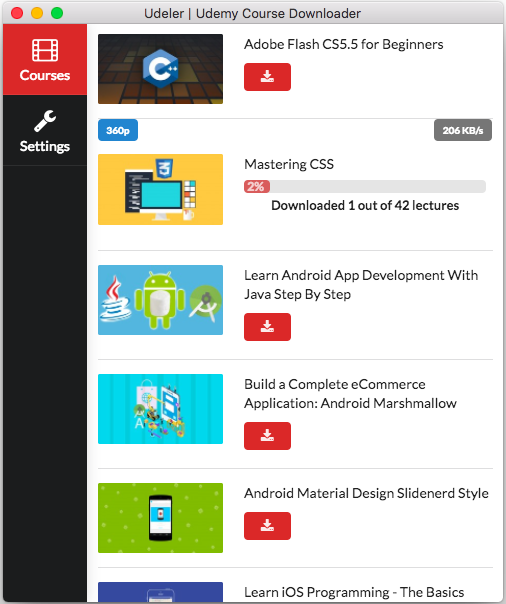 As of now it is just a basic tool which can provide you download links of videos from your courses. You can use the links to download using your favourite download manager. I am currently not able to give this project enough time to fix the current issues or add new features. I am busy with some other projects. But I do plan to fix all the issues and add some new features. So the maintenance is temporarily on hold and this project is not dead. I also plan to make a web only version of Udeler. 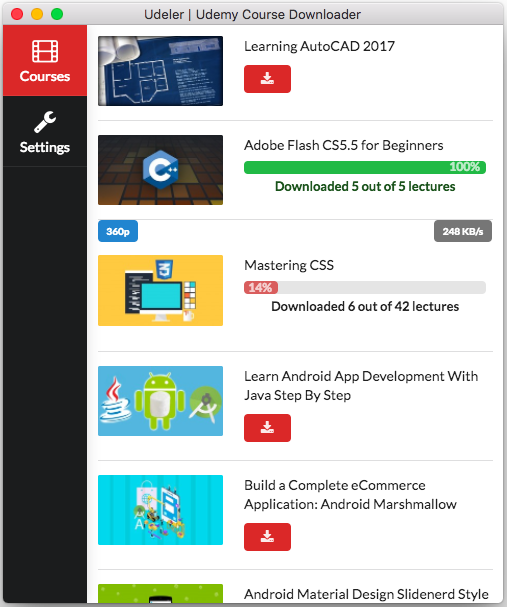 Download multiple courses at once. Set Download Start and Download End. Pause/Resume download at any time. By default the courses will be downloaded to the user&apos;s Download folder. The structure of course content will be preserved. Any contributions are welcome, if you plan to contribute please read the contributing docs first. You must have npm and nodejs installed. Udeler is free and without any ads. If you appreciate that, please consider donating to the Developer.